The Terra Cotta Reserve is a pretty significant place to us; we were hiking in the reserve when I first thought that it would be great to use actual leaves and flowers in jewelry, we’ve done tons of great photography there, and Tito and I will even be doing our wedding photos there. 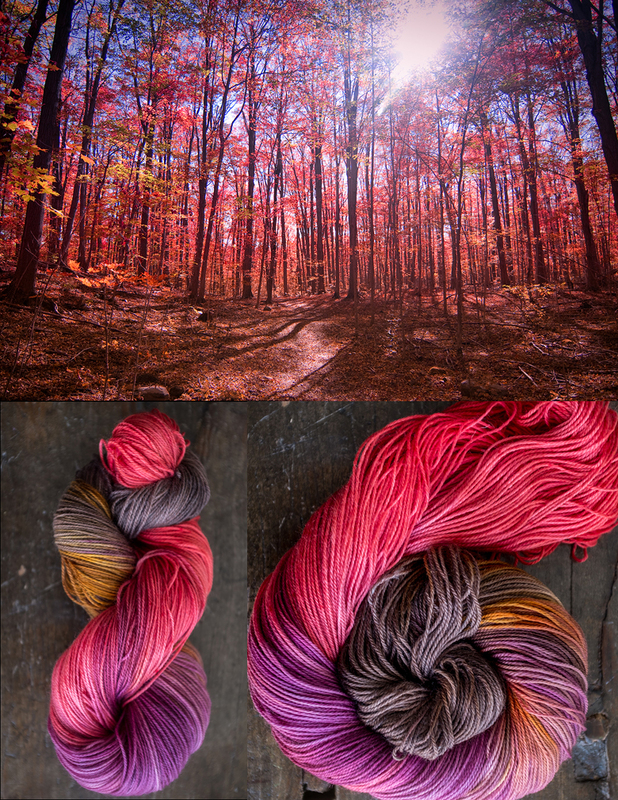 Terra Cotta was a natural choice for my next colourway, ‘Autumn in Terra Cotta’. 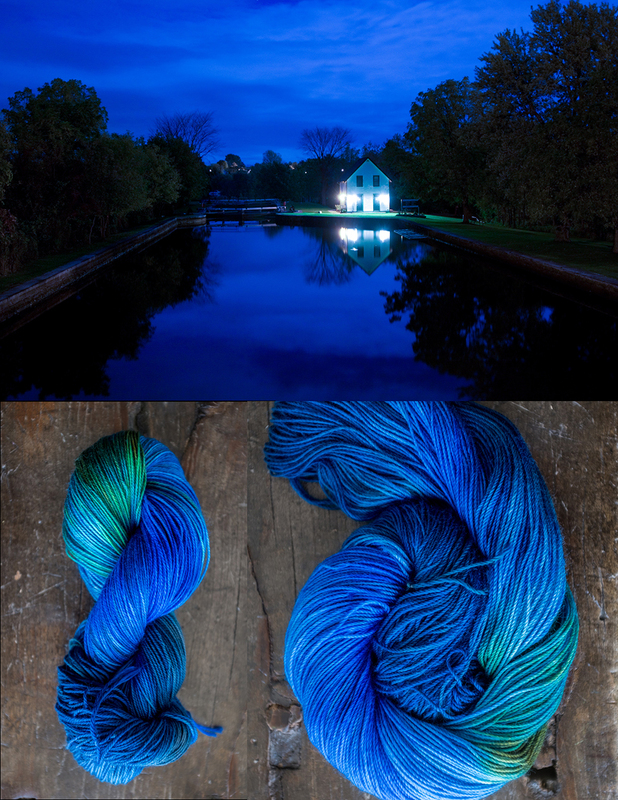 The Rideau Locks colourway is based off a photo taken in the picturesque village of Merrickville, Ontario. Where the Rideau runs past the town, there are still beautiful old hand-cranked canal locks. The night we stayed there, we were coming back from dinner when I saw the beautiful blue hour light over the canal; I had to run back to our room to grab the camera! There are 4 more colourways to reveal :) Stay tuned! OMG!! Those are incredible!! And – I’ve been to Merrickville. In fact – Dee lived not too far from there when I first met him in person….go figure that! I’ve just watched your video and you’ve made me really homesick! I’ve driven those routes many times and miss those rivers – those beautiful colours in the fall – and the lakes….Hit me right in my heart Shireen! Those are some of the most wonderful colors t hat a person could ever want!! Are we going to be able to find you and purchase some?? Are you aware that when you click on your online store, it goes to etsy and not your jewelry store? Hi there! Yes I am, but thanks for letting me know! I’ve taken my other store down temporarily while I get my catalogue updated.